Okay, okay....I know this is the umpteenth (third?) 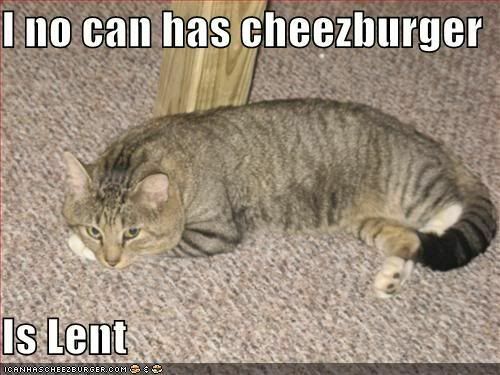 time I've posted an LolCat this month, but I couldn't resist with this guy. I mean, after all, today is Friday and for those who recognize lent and don't eat meat on Fridays during this time, then it's kinda giggle-worthy, right? Hehe.